One or two of the chords are a bit obscure. I got their names from the Guitar Chord Name Finder. 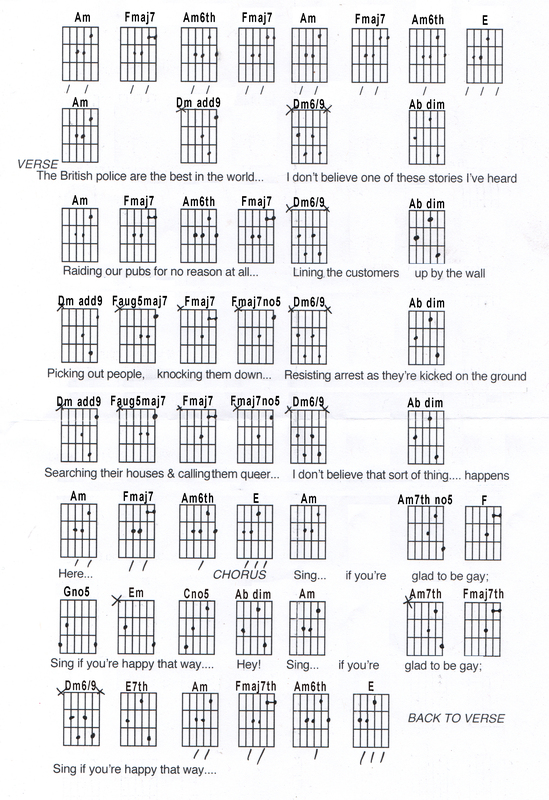 But even if the names aren’t quite right, the chord shapes shown definitely are. Click on the tabs if you want a very high resolution copy to print off.